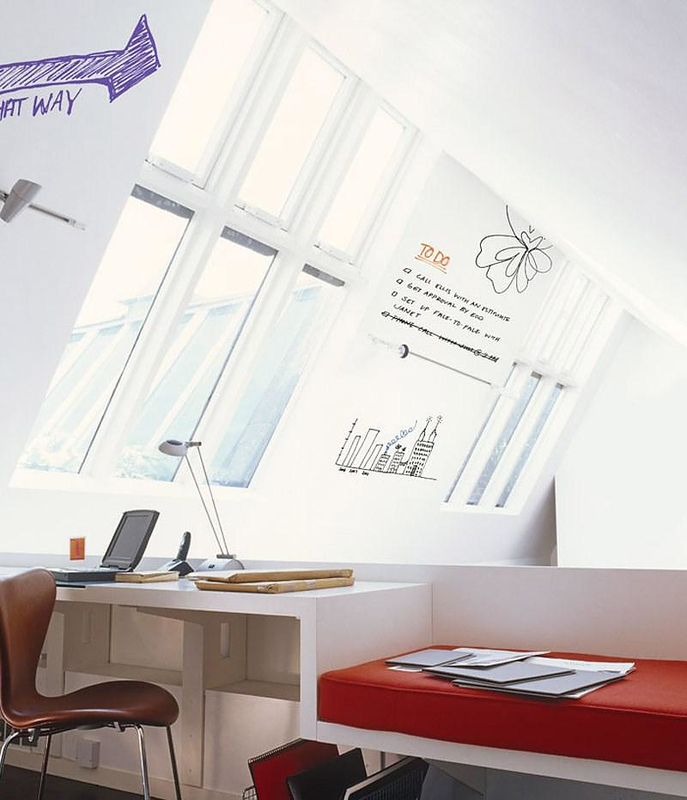 IdeaPaint transforms any surface into a Dry Erase Board. 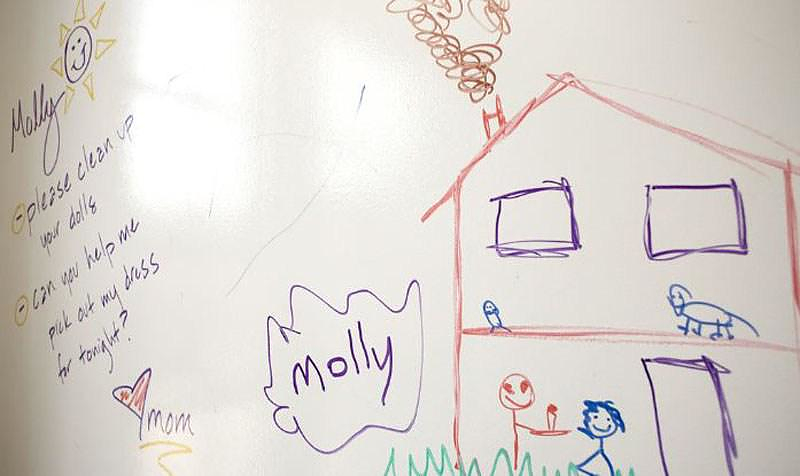 HomeBlogHome DecorIdeaPaint transforms any surface into a Dry Erase Board. IdeaPaint is an innovative and environmentally responsible whiteboard paint that transforms virtually any surface into a high-performance dry erase board. Fun and easy to apply, IdeaPaint is incredibly cost effective versus traditional whiteboards and offers great write/erase performance, flexibility and environmental responsibility. 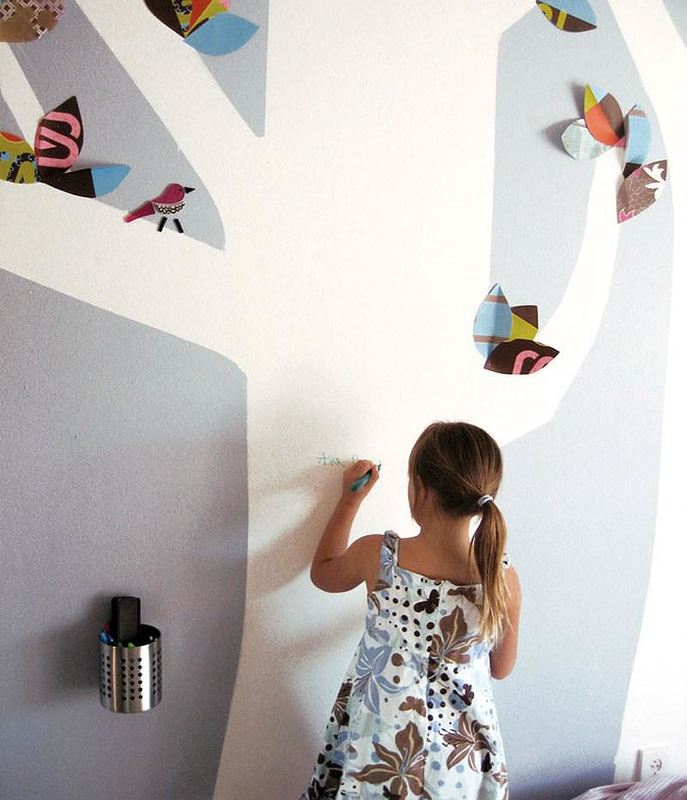 Any wall or other surface can turn into a reusable painting canvas. The possibilities are endless – create interactive, collaborative spaces by painting entire conference rooms from floor to ceiling, transform curved or angled walls into useful work areas, turn tables, desks and cubicles into mini whiteboards, or just make the children’s room a reusable canvas that sparks creativity. The concept behind IdeaPaint takes a relatively mundane office accessory the “dry erase board” and transforms it into an innovative tool that enables users to scribble ideas and drawings on walls, chalkboards and tables by applying a special paint. Engineered for optimal erasing performance, IdeaPaint comes in two commercial-grade formulas ideal for any work, school or home environment. The flagship product, the IdeaPaint CREATE, can be applied over nearly any smooth surface to create a beautiful, functional, dry erase surface. The virtually odorless formula installs easily and erases cleanly every time. IdeaPaint CREATE comes in three great formulations – BLACK, WHITE and CLEAR – so you can really get creative by making your dry erase surface any color of the rainbow. 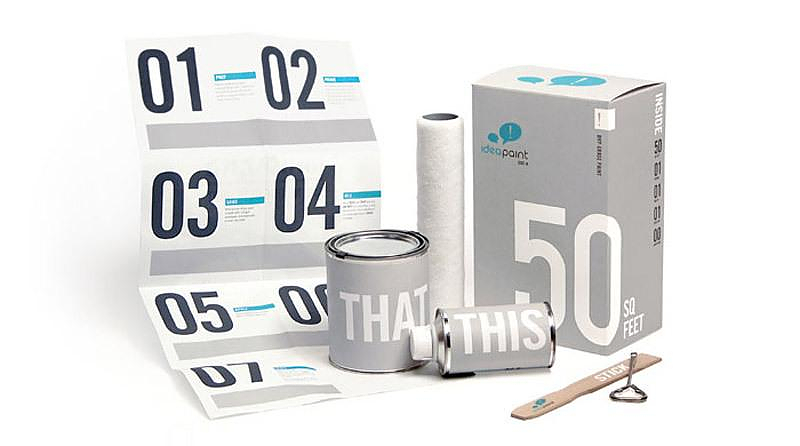 The original product, the IdeaPaint PRO, is the commercial dry erase paint, which was introduced back in 2008. With five great colors, IdeaPaint PRO provides a highly durable dry erase coating in a single-coat application. IdeaPaint PRO is intended for professional installation only. IdeaPaint is widely recognized as the originator of high-performance dry erase paint, and has been celebrated by the likes of The Wall Street Journal, Mashable, Fast Company and CNBC as a tool that has a profound impact on the process, experience and outcome of bringing ideas to life. It is an advanced product if one takes the chemistry behind it into account, but at the same time profoundly low-tech. An innovative real-world solution, IdeaPaint has brought the human element back to more than 75,000 offices, schools and homes around the world by simply getting people on their feet, working together and exploring their creativity wherever ideas happen.